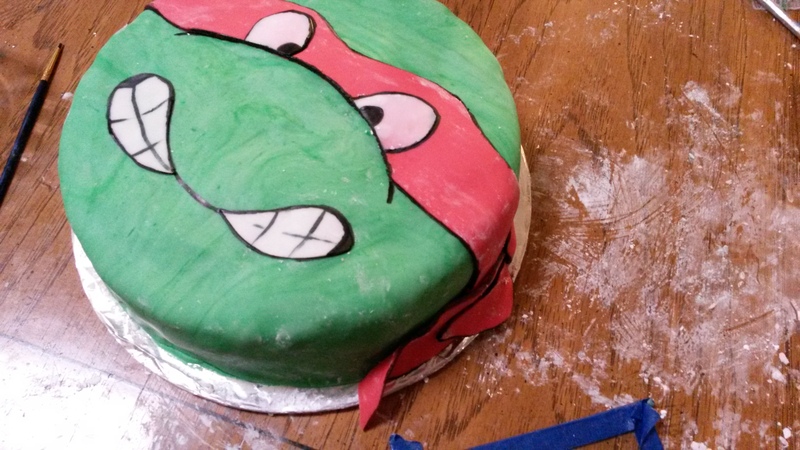 Teenage Mutant Ninja Turtle Cake | Who Are You Calling Crafty? I have been on a baking frenzy recently and last weekend I made another cake. 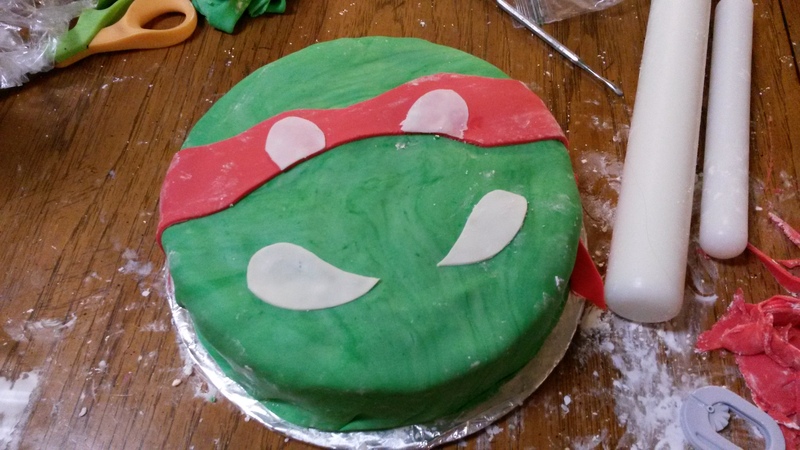 This time it was a Teenage Mutant Ninja Turtle Cake for my daughter’s best friend and her little brother. The cake was an eggless yellow cake (gluten-free), with cream cheese frosting, covered in fondant. 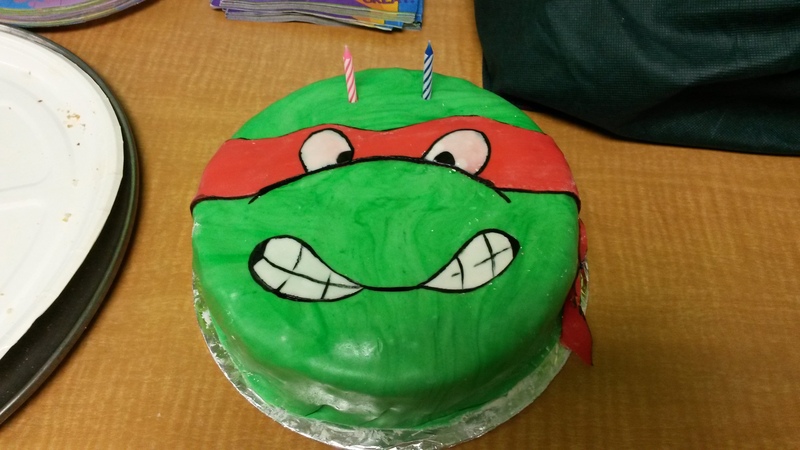 I was quite impressed with how the cake turned out because I made it Friday night after work. 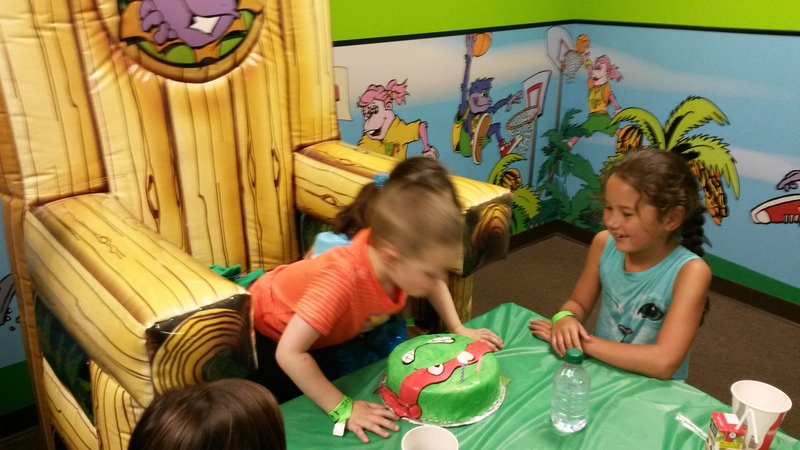 Birthday boy and girl blowing out the candles. The cake was huge hit and I think I am going on a baking hiatus for a while, lol.